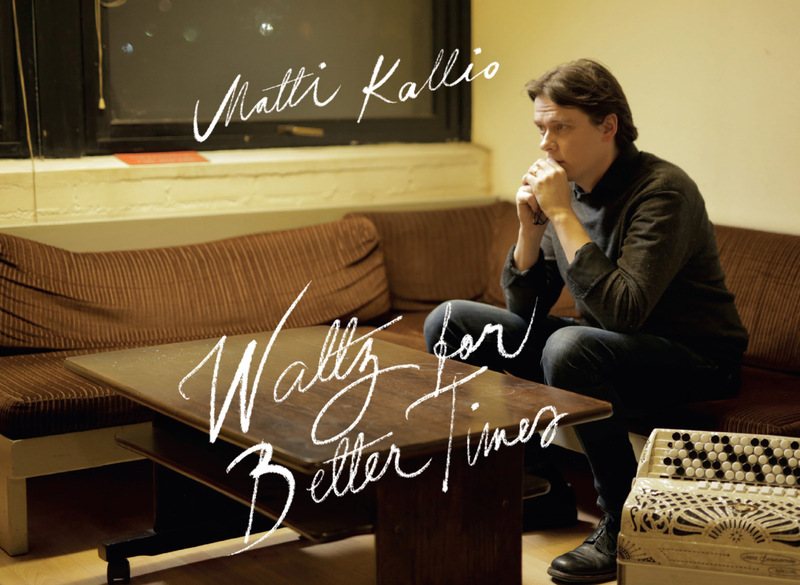 Matti Kallio is one of the most versatile Finnish musicians of his generation – as a multi-instrumentalist musician, composer, arranger and producer he has appeared on over a hundred albums throughout his career. For many years he was a member of the Finnish folk band Värttinä, producing and for large part composing two of their latest albums, ‘Utu’ and ‘Viena’. In 2018 he is publishing his first solo album, Waltz for Better Times, featuring Petri Hakala (guitar, mandolin & mandocello) and Hannu Rantanen (double bass), and special guest, accordion legend Maria Kalaniemi.